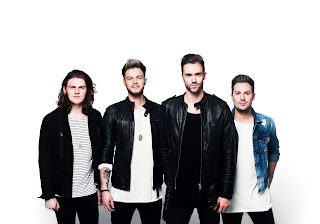 LAWSON singer Andy Brown reckons he had to get in touch with his feminine side when he was writing the lyrics to new song Money. Andy who is currently on an HMV signing tour and hits Brighton today, Leeds tomorrow, Gateshead on Wednesday and Edinburgh's Princes Street on Thursday March 24 at 5pm, claims he had to make the song appeal to the band's large female fanbase, so he changed up his original overly-masculine lyrics. He explained: "I was sort of struggling with the serious lyrics and the first line of chorus initially said 'I'd take you on a world class cruise'. I had to think what girls would prefer and realised they'd prefer shoes first so I put that in as a priority and the line reads ' give you every pair of shoes.' I still mention the cruise but you have to think what a woman likes when you are writing these songs and get inside a girl's head." The song Money was inspired by Andy's life when he was unsigned and touring around with the rest of the lads in an old van, absolutely skint. He said: " We used to sing 'Where's the money?!' after driving 100's of miles to play to ten people. He added: "There's always a big song about money and when you think about it over the years Bruno Mars wrote Billionaire, Alloe Blacc had I Need A Dollar and Jessie J sang All About The Money. People relate to it." Circumstances have obviously changed for Lawson as a band and now they are in demand around the globe four years on from writing top 5 debut album Chapman Square and performing at festivals including T in the Park in the process, but Andy is not quite in the Millionaire's Club just yet. He laughed: "You don't make as as much as you think making music now. It's not as much as it used to be to be honest. If I won the lottery this weekend I'd take mum and dad on holiday and get a private jet and have fun and treat people to things." The lads played Glasgow on Saturday when they stepped in at the eleventh hour to replace Nathan Sykes as support on the Little Mix tour. Andy was chuffed to bits to play the SSE Hydro, He said: "We've always had amazing gigs in Glasgow and when we started out we played the 02 ABC in a really small room. We even played King Tuts when we first started - to fifty people - and since we've headlined the Academy in Glasgow and now this. We feel like we're just starting and have so much more to do."